In order to have a successful product launch, it is essential to both listen closely to customers’ needs and stay current with market trends. That’s why industry conferences such as EuroCucina and the International Woodworking Fair (IWF) are so valuable. These gatherings present the perfect opportunity to view new innovations in design and speak with industry leaders, partners and customers to create the most innovative and on trend products for the North American market. The success of any product launch hinges on meeting the current and future needs of customers and staying in touch with the most design trends. 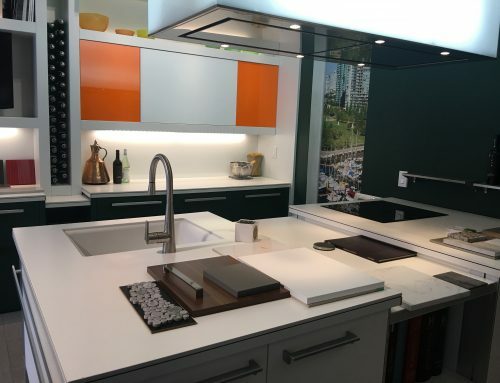 Traveling to EuroCucina provided an opportunity to take a look at the very best in European design and bring fresh ideas back to the North American market. And though North American interior design trends closely follow those of Europe, the U.S. and Canadian markets clearly have their own preferences. IWF provided an opportunity to present new options in order to gain valuable feedback as to which products, finishes, and features are most attractive and desirable to potential customers. We are proud of the innovations we showcased at IWF and are excited to offer products that align with the hottest design trends of 2018 with a new shelving program. Our new shelving products focuses on modern shelving systems incorporating options with glass, aluminum, integrated profiles and various finishes. 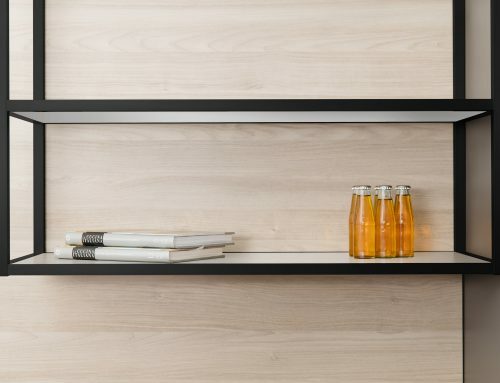 New Shelving Products – Fresh options in glass are used increasingly to feature items inside cabinets and add another dimension to lighting. 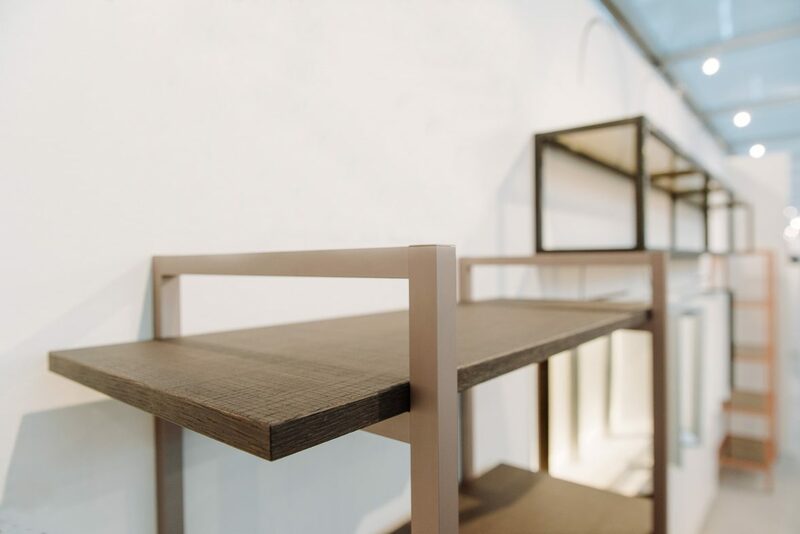 To respond to these desires, Elements Designs has introduced new looks in glass shelving and aluminum frame glass shelving, as well as a satin glass insert option for our °eluma LED shelving. 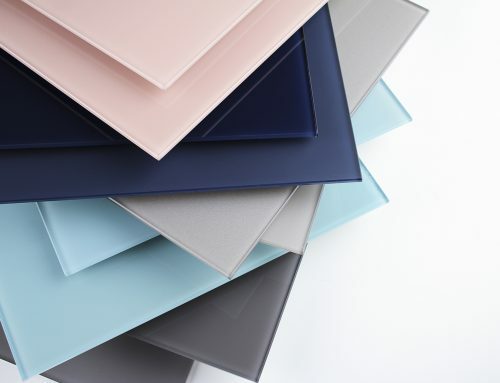 3Form® Architectural Resin Inserts – Designers want more options and the attractive and eye-catching 3Form® architectural resin inserts in innovative styles such as the natural look of Fossil Leaf, the bold colors of Ensign, the industrial feel of strand iron, and many, many more. 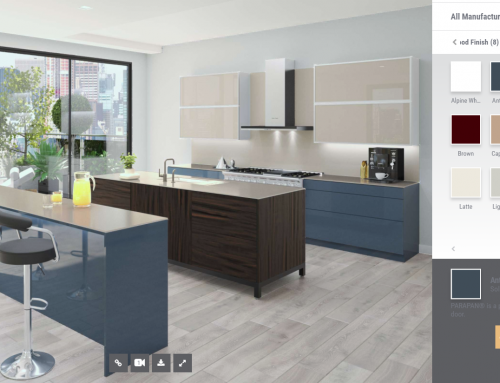 Integrated Hinge Door Frames – Concealed hardware provides usability and aesthetics, two key elements in the modern kitchen that never seem to go out of style. Element Designs’ new integrated hinge doors utilize specially engineered Salice AIR hinges to create a sleek look without visible functional hardware. Our new products for 2018 and beyond demonstrate our dedication to providing our customers with the most innovative architectural casework products and solutions available on the market today. 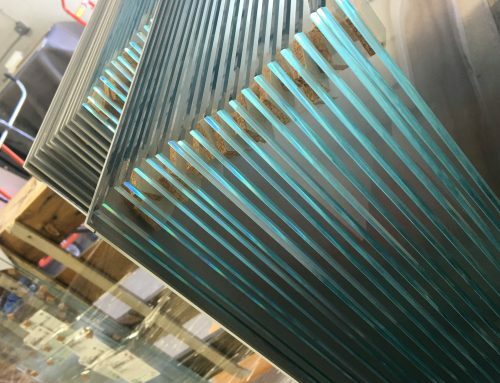 As contemporary trends continue to evolve, we continue to bring the highest quality aluminum, glass, and acrylic components with the unmatched customer service and quality. Learn more about our innovative and elegant products here.